This is an online, blended or 100% classroom course and must be carried out by an approved instructor. This course is built for those working in the care sector. 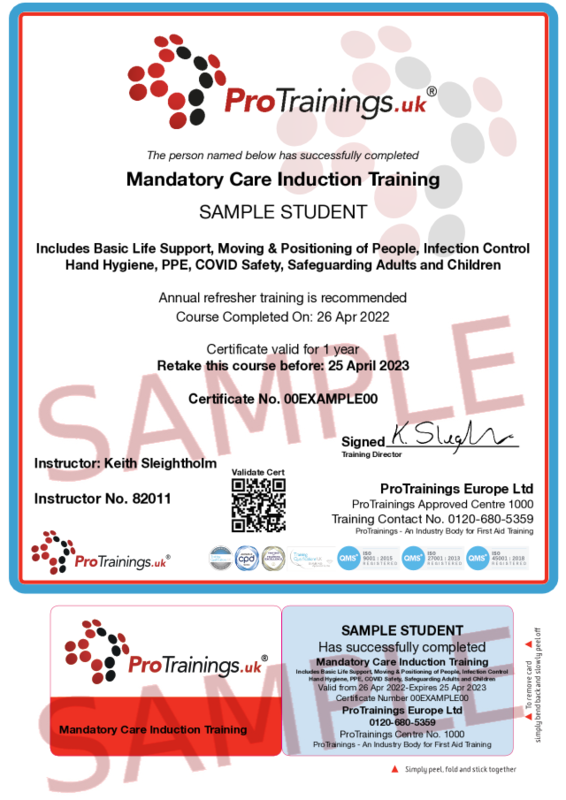 It fulfils the requirements for Basic Life Support, Safer Moving and Handling of People, Food Hygiene, Fire Safety, and Health & Safety Awareness training. The certificate is valid for three years. These courses can be taken before staff start work so they are ready on their first day or by existing staff to meet training requirements. We can add extra subjects if needed and develop a solution for your training. By using our online or blended courses you will save valuable work time by giving a more flexible and enjoyable solution.